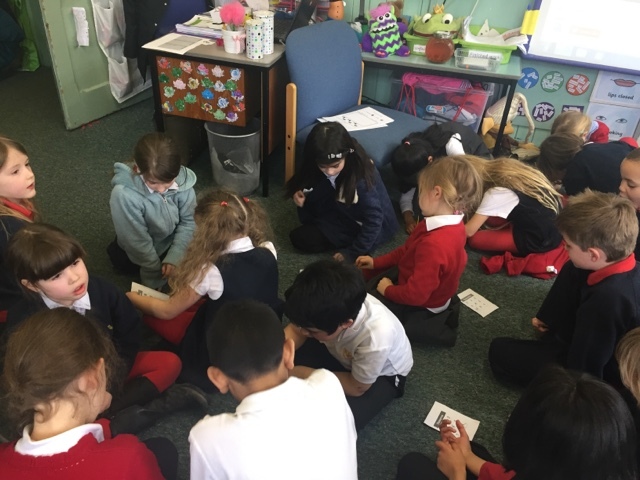 Today we enjoyed our second mindfulness lesson – we talked about when and why our breathing changes. 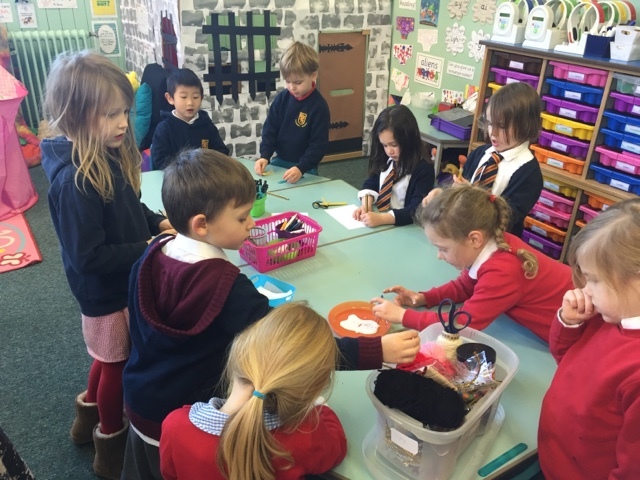 We know that sometimes it can be fast and sometimes slow. 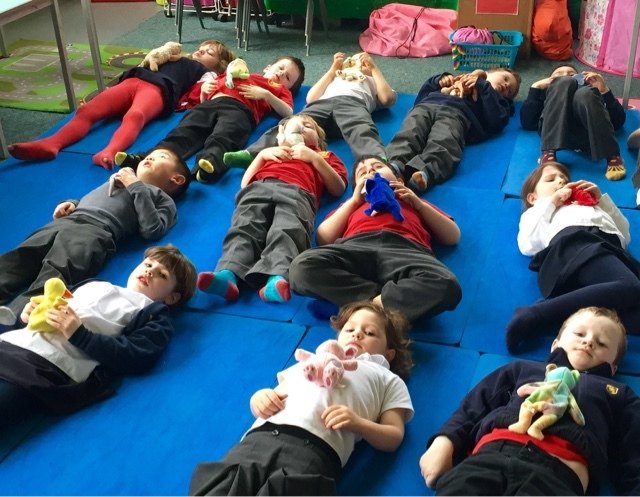 We used our breathing buddies to help us see and feel these changes, and then carried out a relaxing breathing exercise that we can use at home. 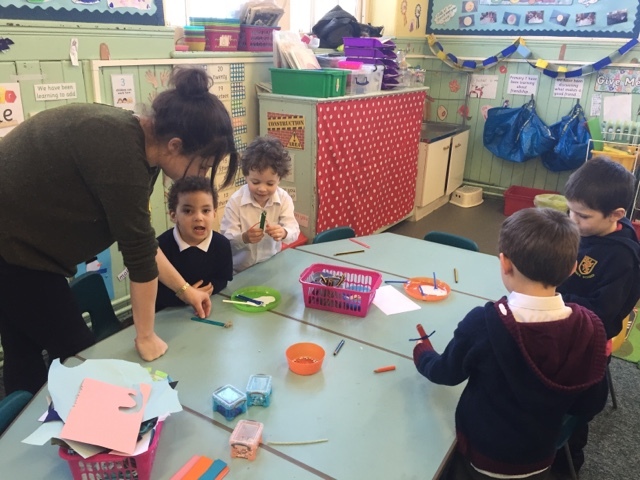 Thank you to Miss Dougall for organising a fun buddy activity for everyone today. 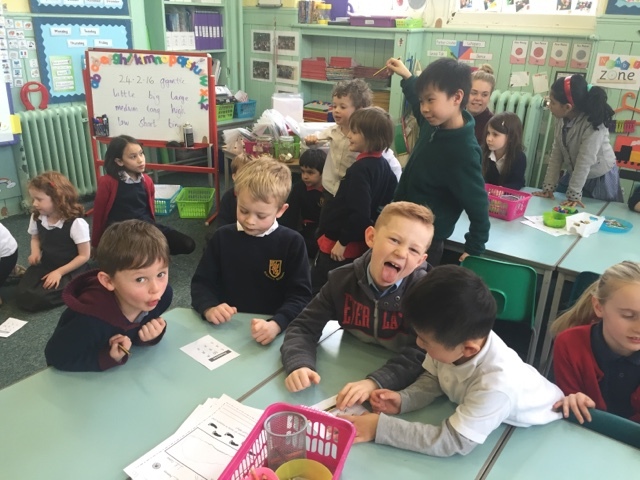 Primary one had time to teach their buddy how to count to 10 in Spanish, we then played Spanish bingo!! 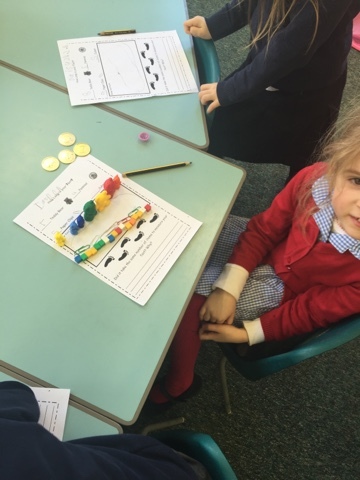 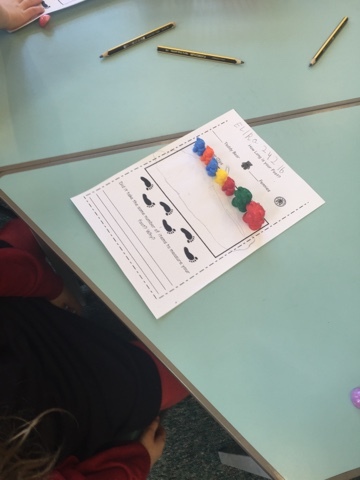 We have been learning about measurement. 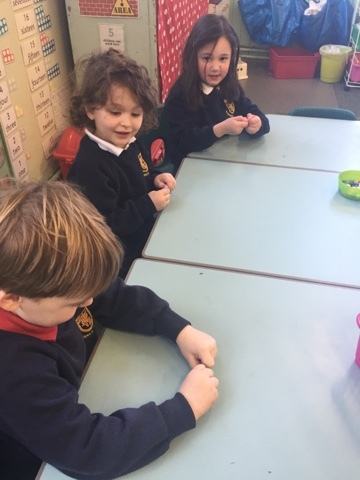 Today we enjoyed working with a partner to see whose popper toy went the highest! 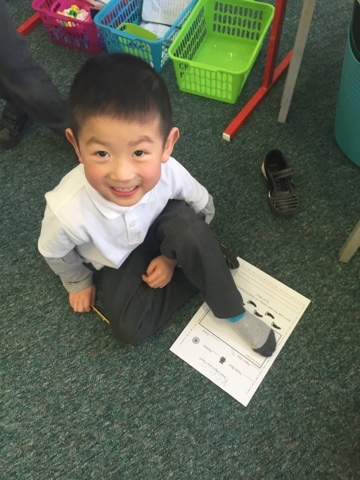 We also loved measuring our feet with different objects. 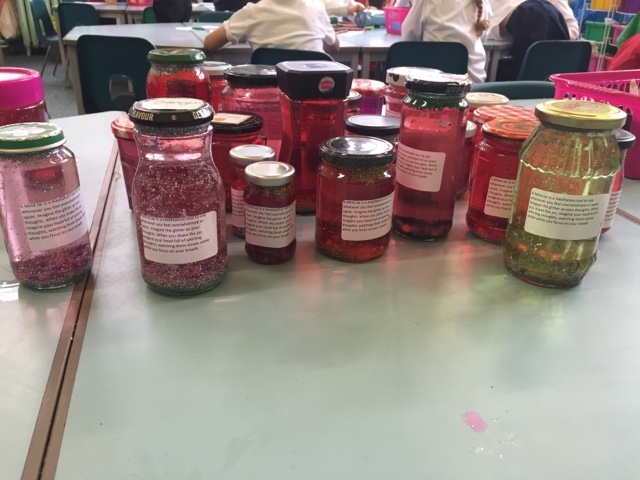 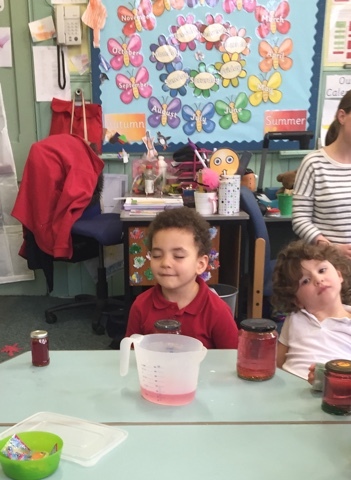 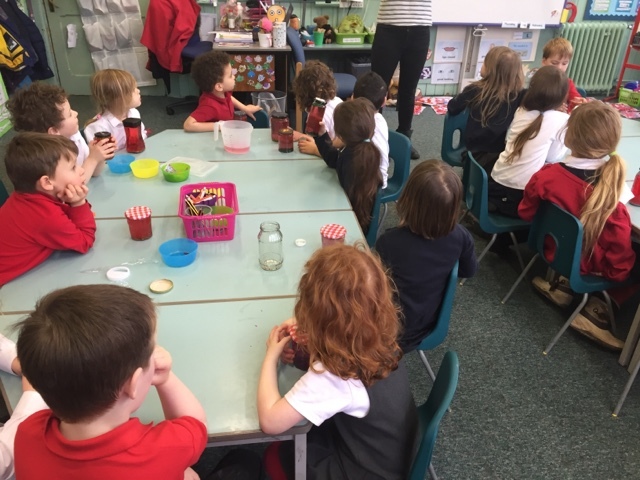 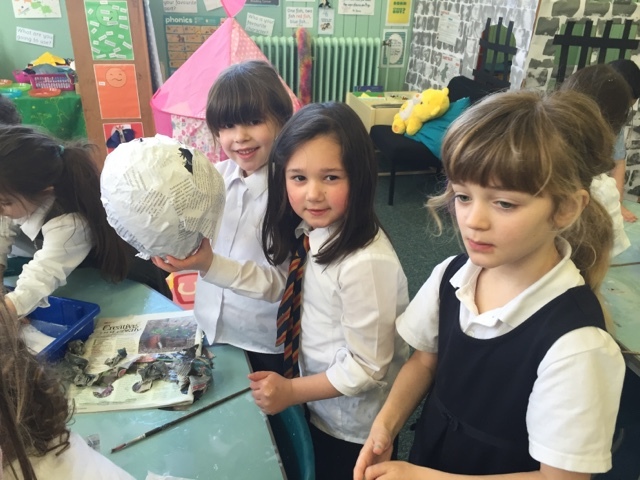 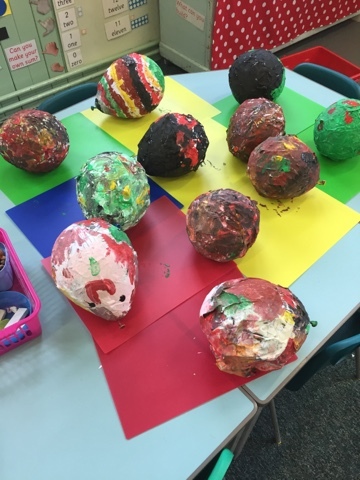 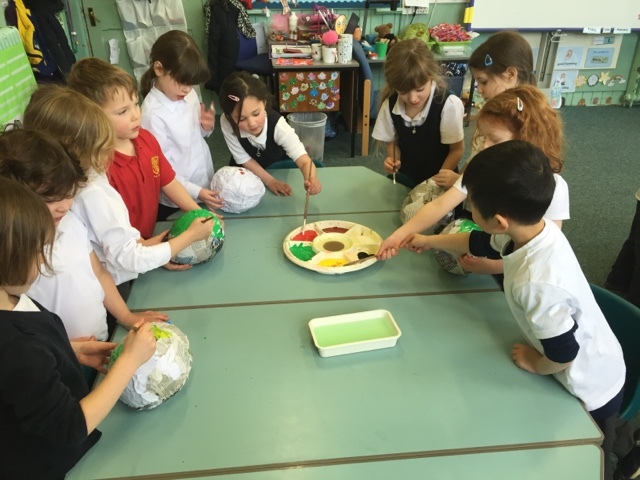 P1C – Magical Dragon Eggs! 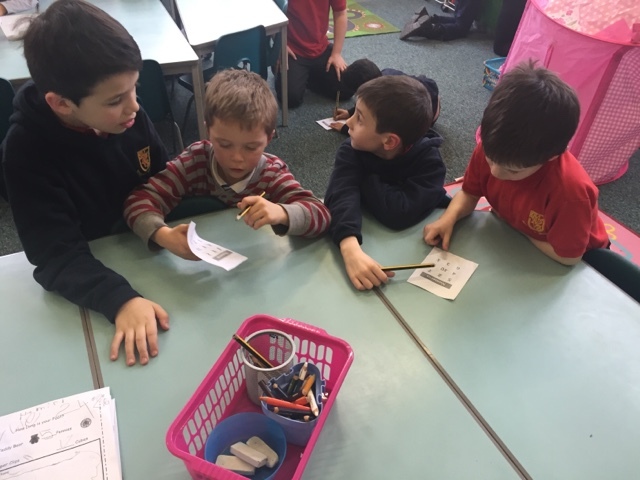 The children are very much involved in the planning process. 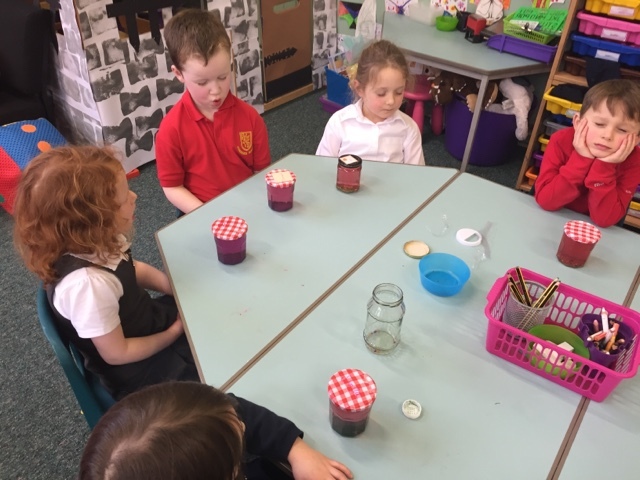 We hold weekly discussions about what we would like to learn next in class. 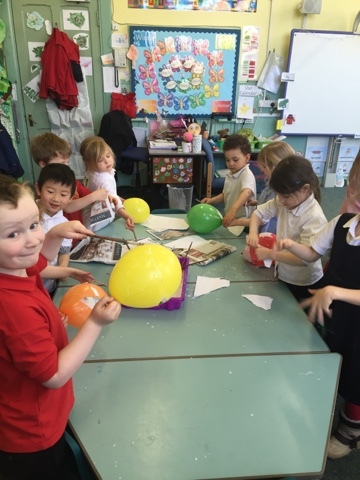 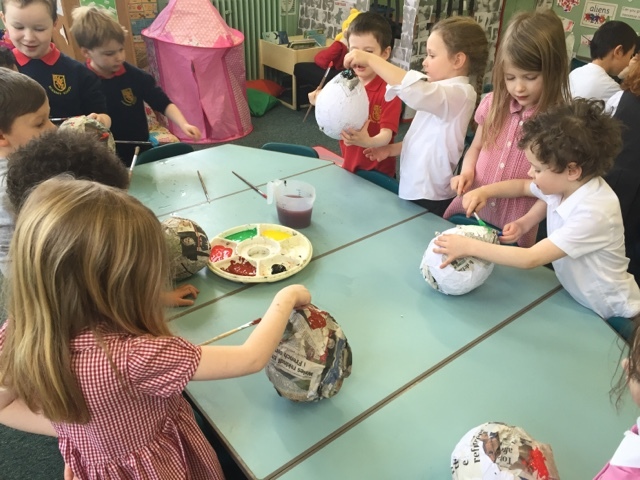 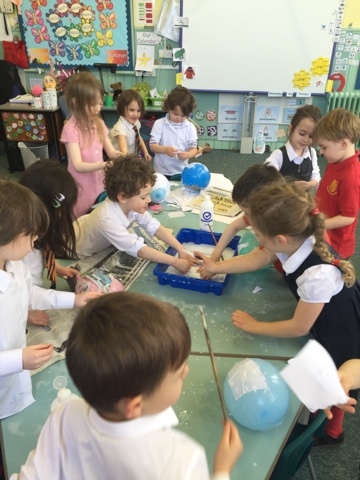 As part of our Fairyland topic P1C decided to make dragon eggs using balloons and papier-mâché, today we got to paint them! 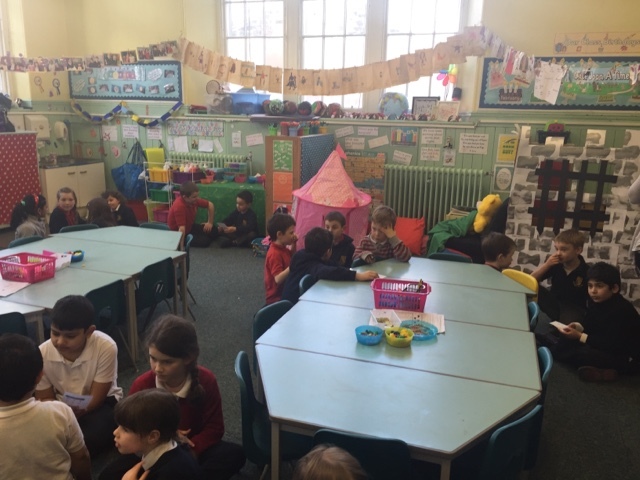 Our learning target was to cooperate with our partner, we talked about sharing responsibility and compromising on decisions. 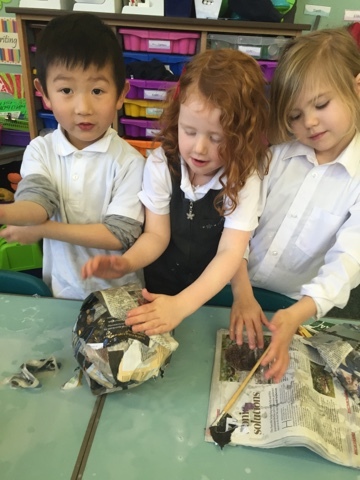 I was very proud of them all – they worked amazingly well with each other and all pairs successfully made a magical dragon egg! 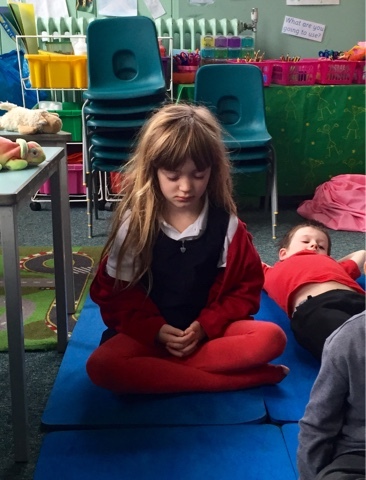 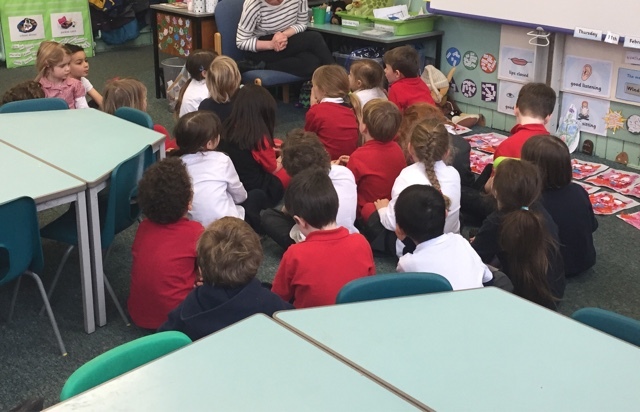 Today we enjoyed our first mindfulness lesson which Miss Ross led for us. 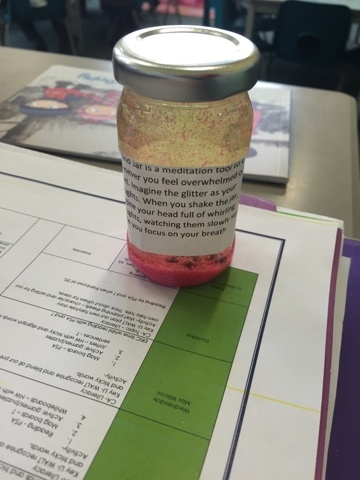 We made mind jars to help us relax when we feel overwhelmed. 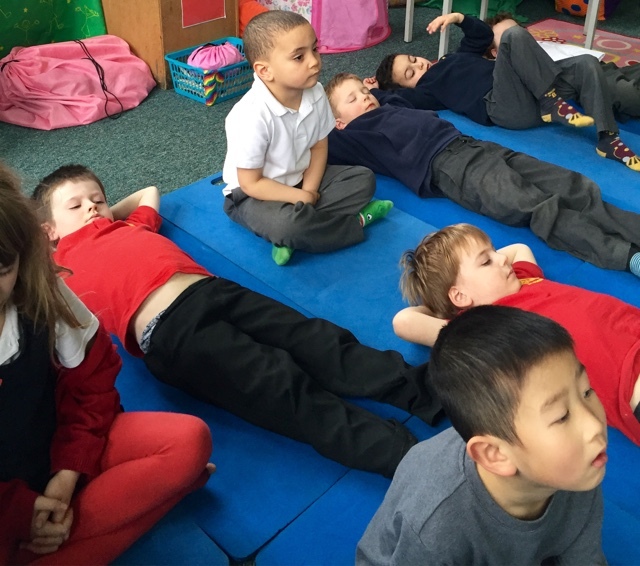 We also enjoyed taking part in relaxation meditations and breathing exercises. 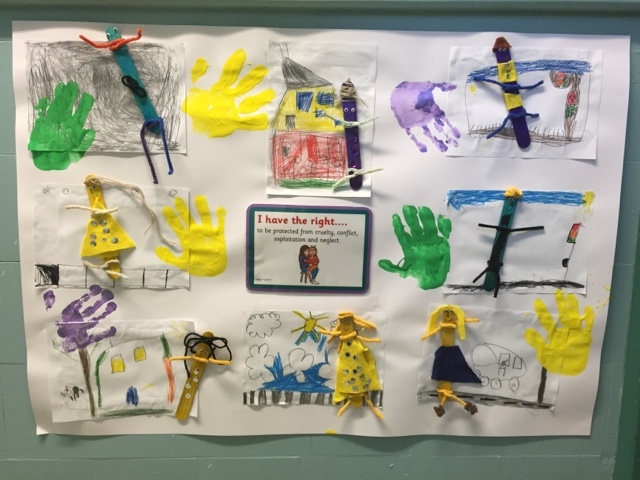 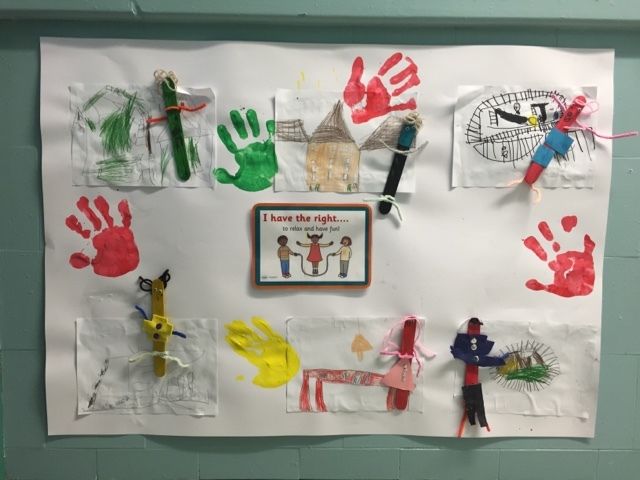 We have been learning about our rights and responsibilities – we know that all children have the right to play, learn and feel safe. 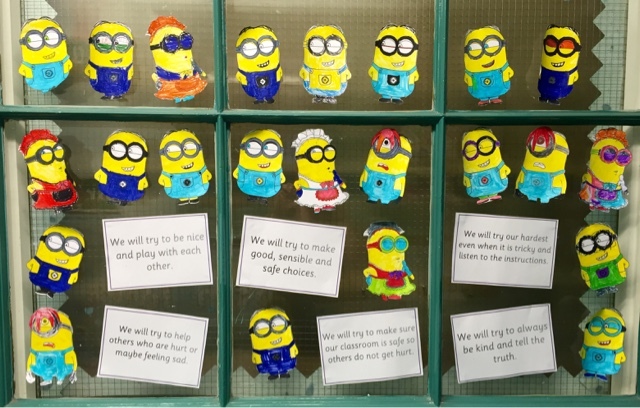 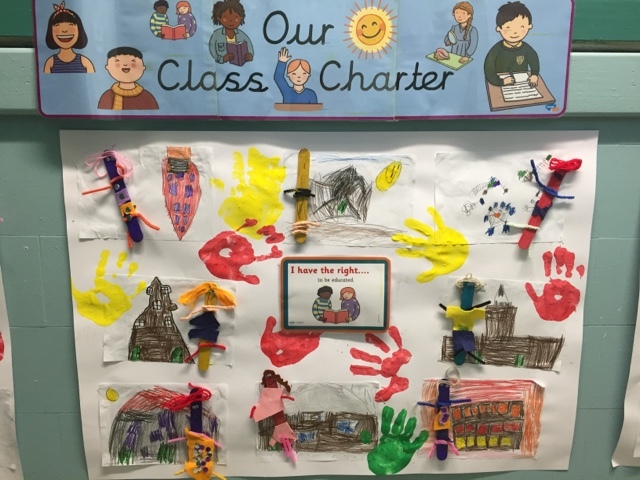 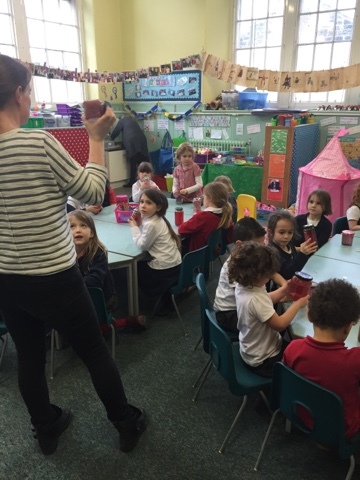 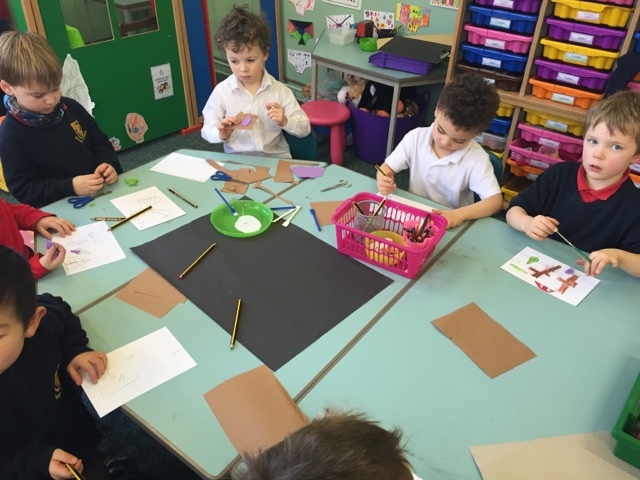 We carried out an art activity to complete our class charter – Miss Gallagher joined us for our lesson too! 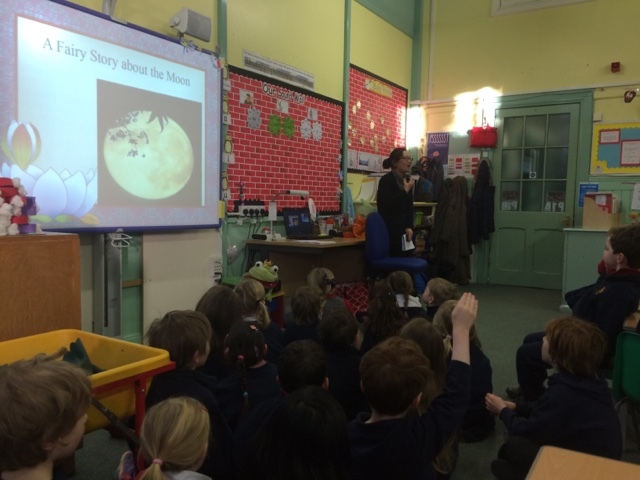 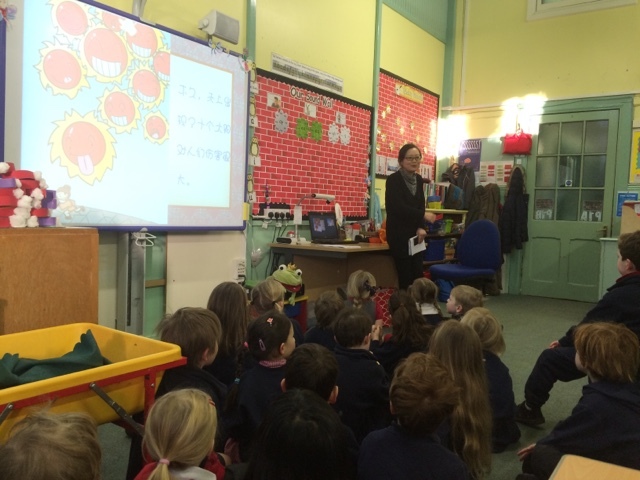 Dolphine’s mum came in to tell us a Chinese Fairytale about the shadows on the moon. 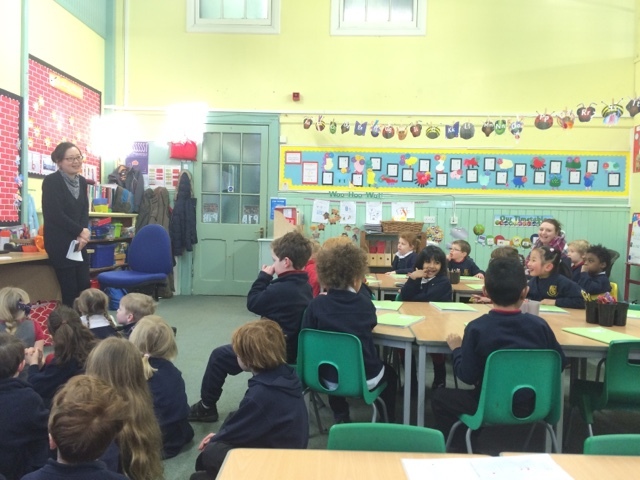 We loved hearing about a fairytale from a different part of the world. 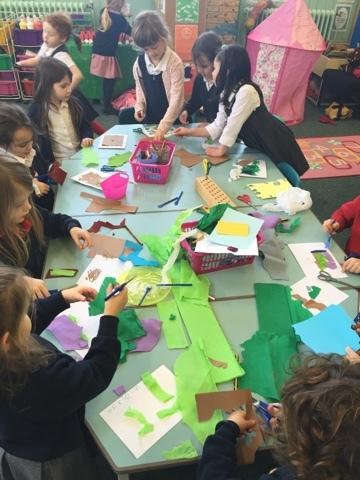 As part of our Fairyland topic we planned our own activities. 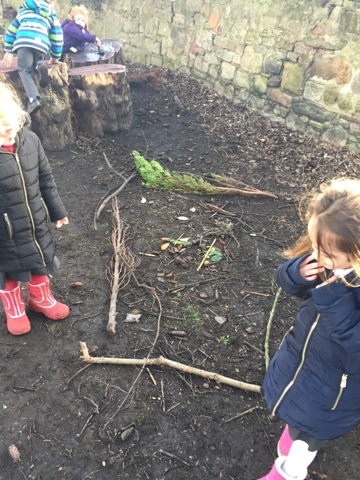 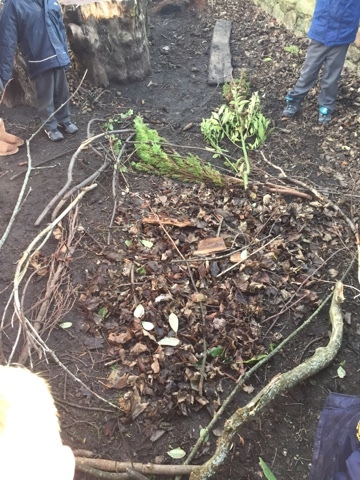 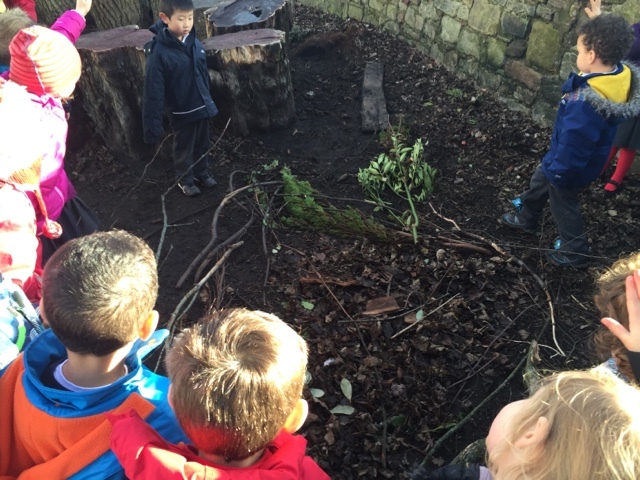 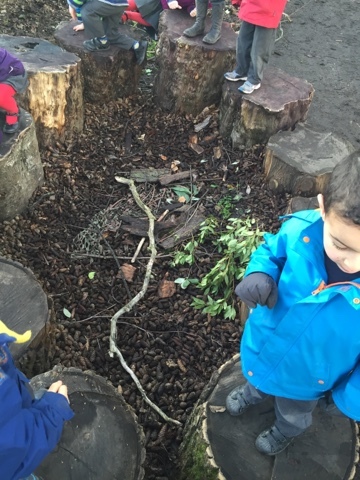 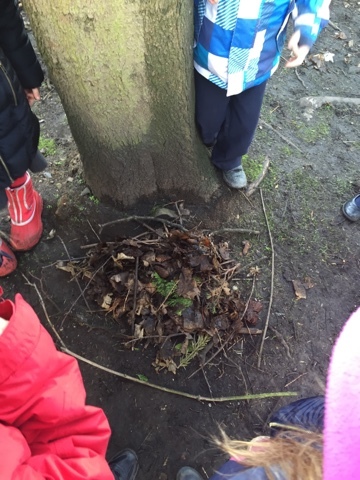 Today we designed, planned and created our own dragon nests in the nature garden. 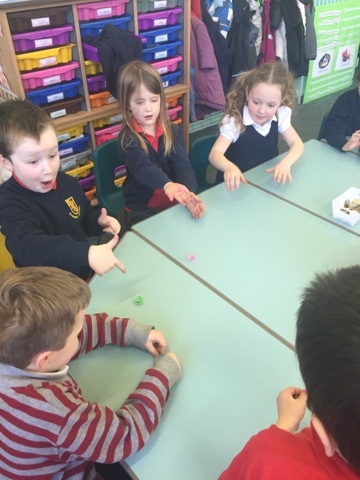 We worked really well in bigger cooperative groups.